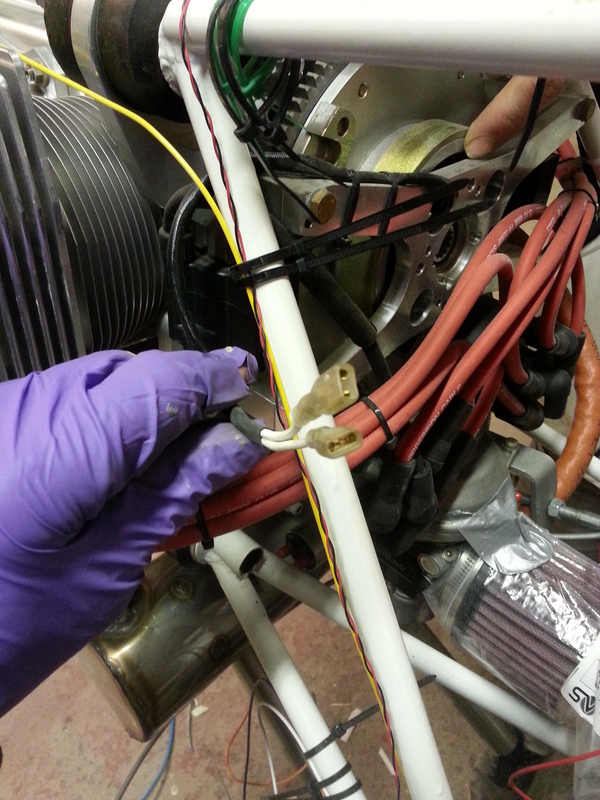 Downloaded a couple of PDF’s from Google the other day .. “Top 10 Aircraft Wiring Mistakes (and how to avoid them)”and also “Aircraft Electrical Systems” a sort of picture book A B C of parts that you knew existing but were perhaps too afraid of looking a dummy to ask about ! 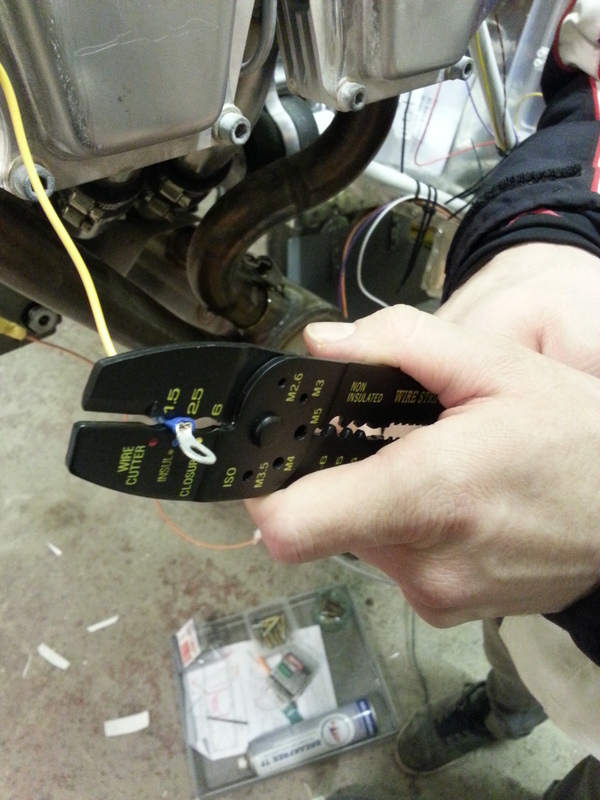 Going to have to work out how I run cables from the ‘front end’ of the engine (Oil Pressure, Oil Temp) past a set of 4 hot cylinders to the junction box. Suspect I need to wrap in heat proof cable shroud. 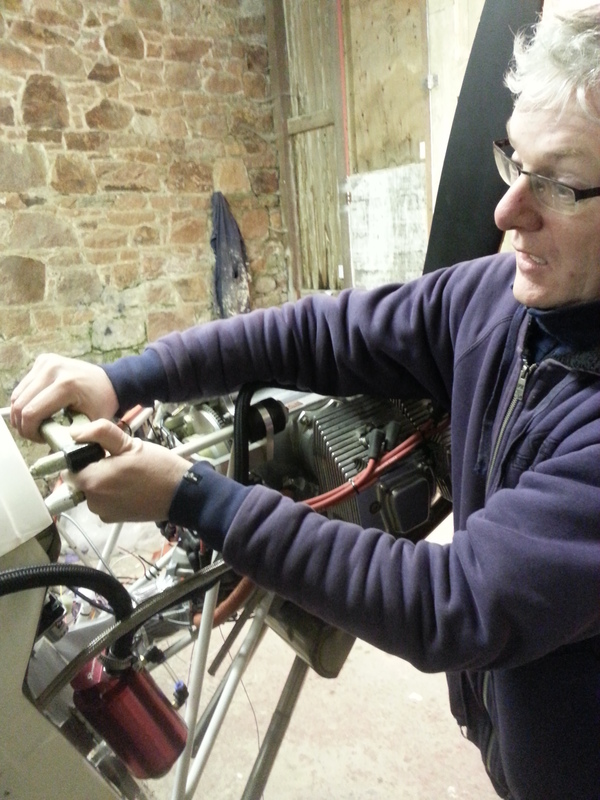 Keith – duly put it in ! The sunny weekend we had last weekend enabled me to get the Sherwood out and open the wings again. 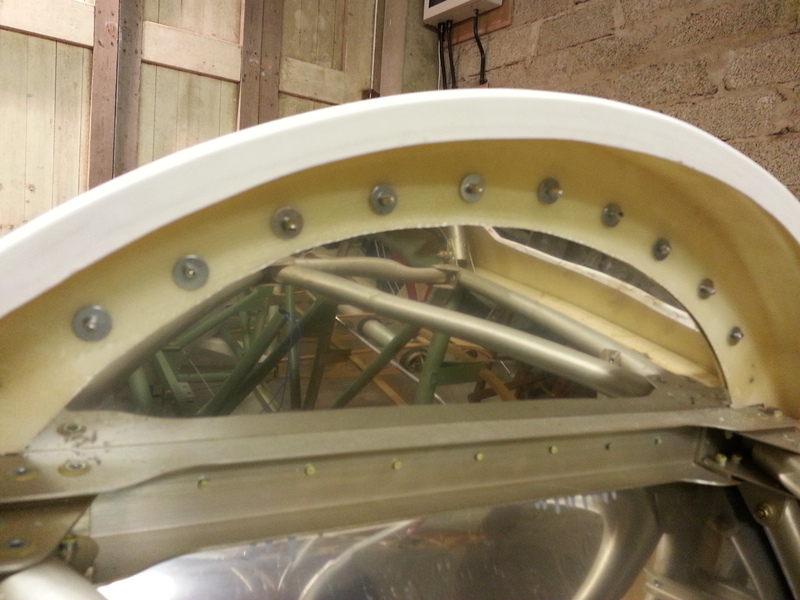 There is still some slight adjustment required on the top wing rigging which will have to be done soon. 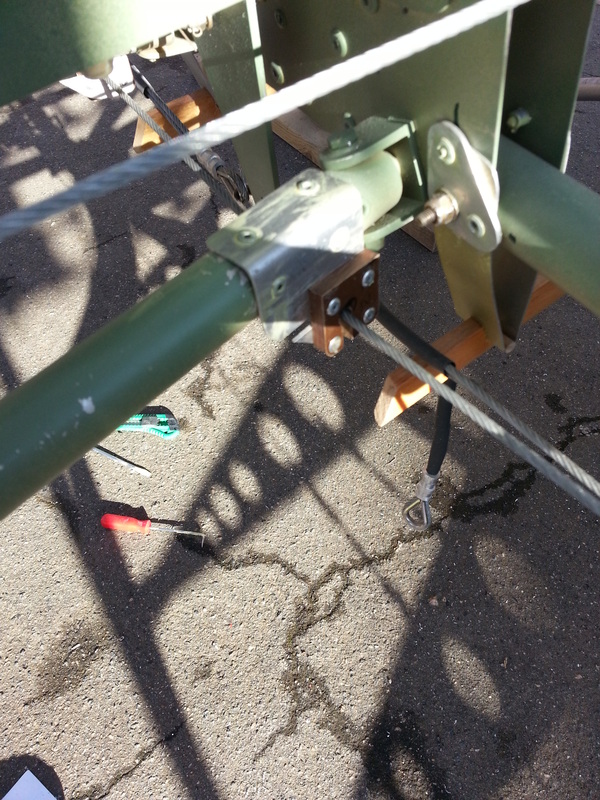 The sunshine gave me the opportunity to get the aileron paxolin guides in place and then get them running smoothly with no metal to metal contact at all. Apparently, according to colleagues at work I am a bit of a saddo for actually recording the quietness of the aileron operation ! although WordPress won’t let me upload an MP4 ! 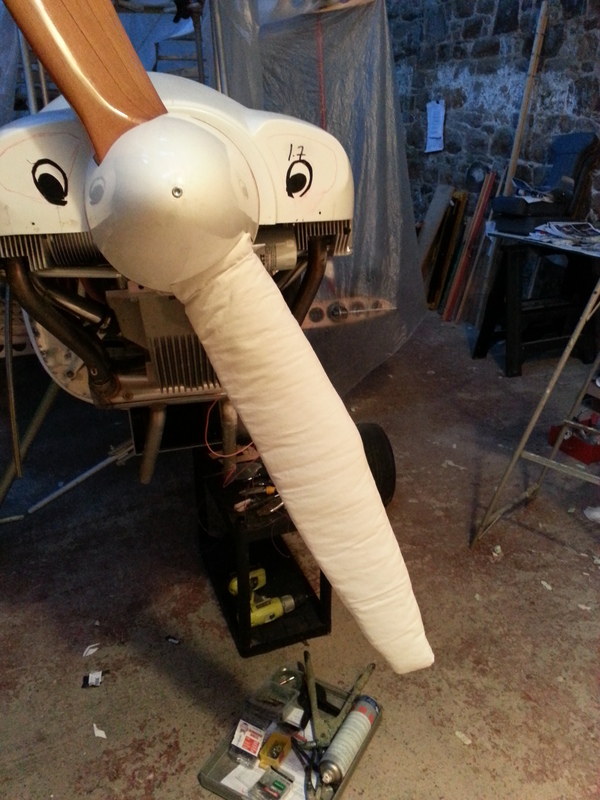 Becks – who is currently working with me has offered to make me a propellor cover to protect my investment in those 4 lovely layers of beach crafted by Hercules ! As well as adding some supporting 1/22 balsa cheeks in the upper cabane late last night, I started to prepare the backing / packing for the wing root ply landing plates. 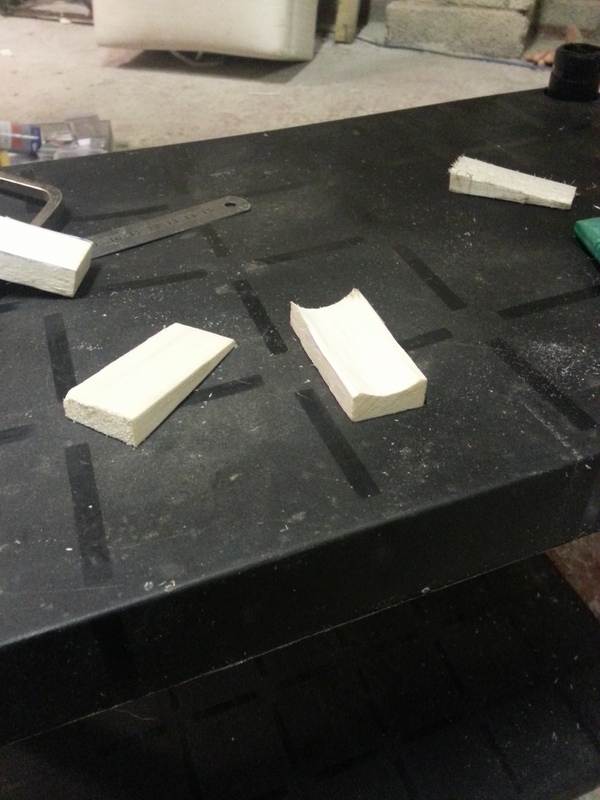 These will allow the material covering to form around these parts and have a good base to secure to. 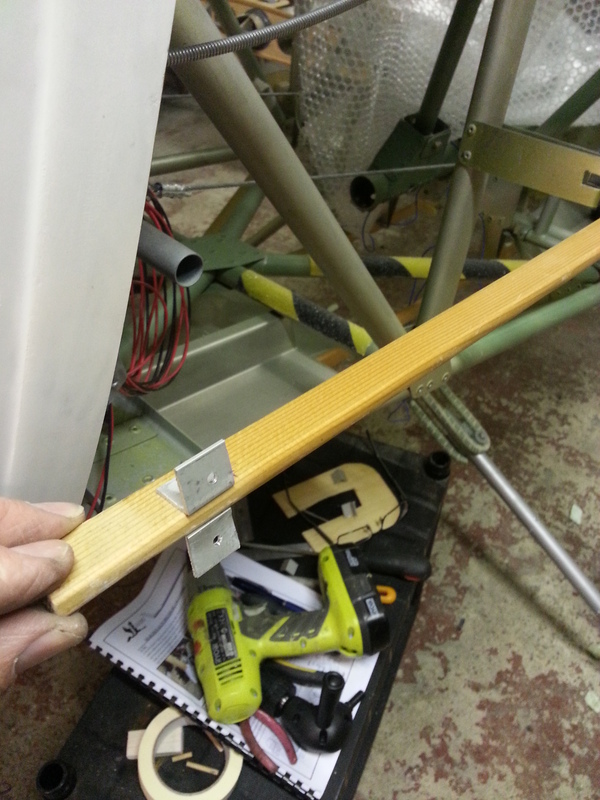 I held off gluing in place as I could see that the alloy shroud on the main spar wing peg mount may well catch on this. 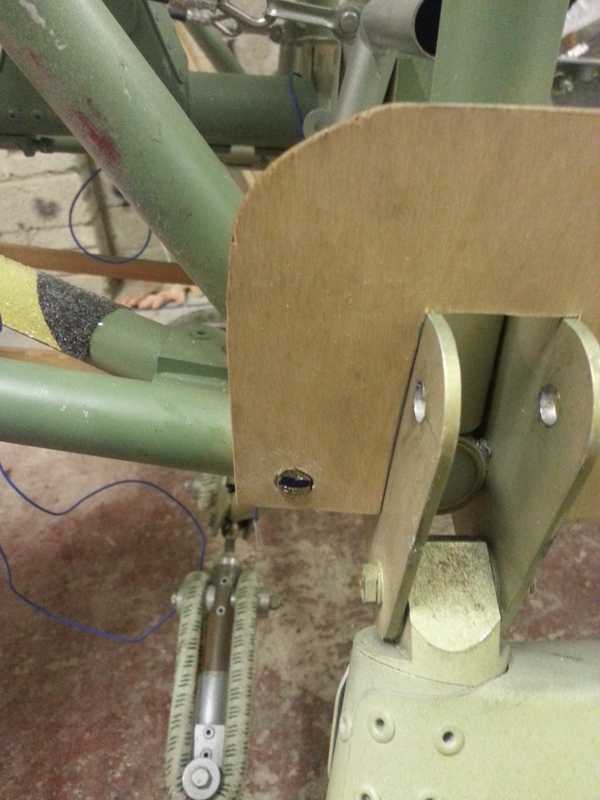 So have made and tailored the parts in situ, drilling the holes to allow the joint bolt heads to poke through and then used masking tape to hold pending some decent weather to allow me to get the ‘plane outside and the wings out to check clearance. Note the paint brushes I am keeping out now as I pass each part and start the big clear down of debris and swarf and dust …. 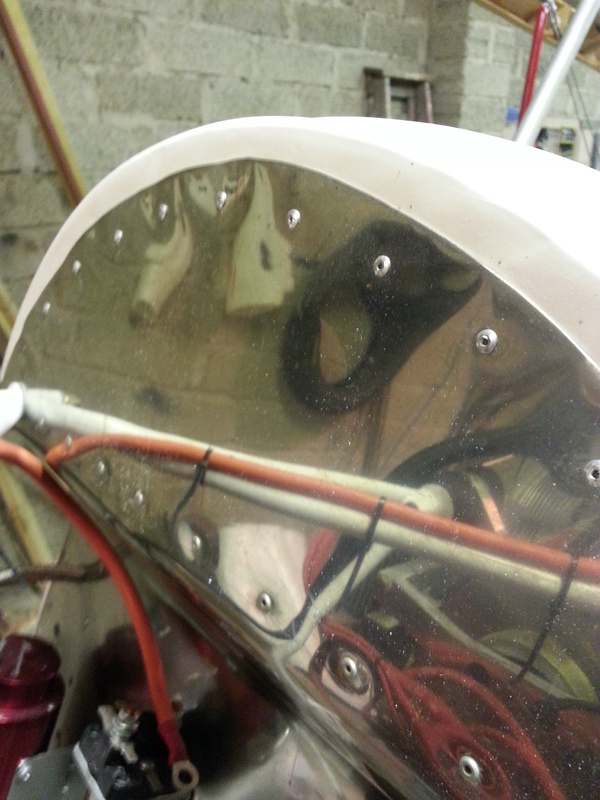 Having now got the cowls as I want them I can secure the front end of the stringers inside the cheek cowls. I had been trying to work out how to get the drill into this tight space and even got a right anlge short chuck driver to help. 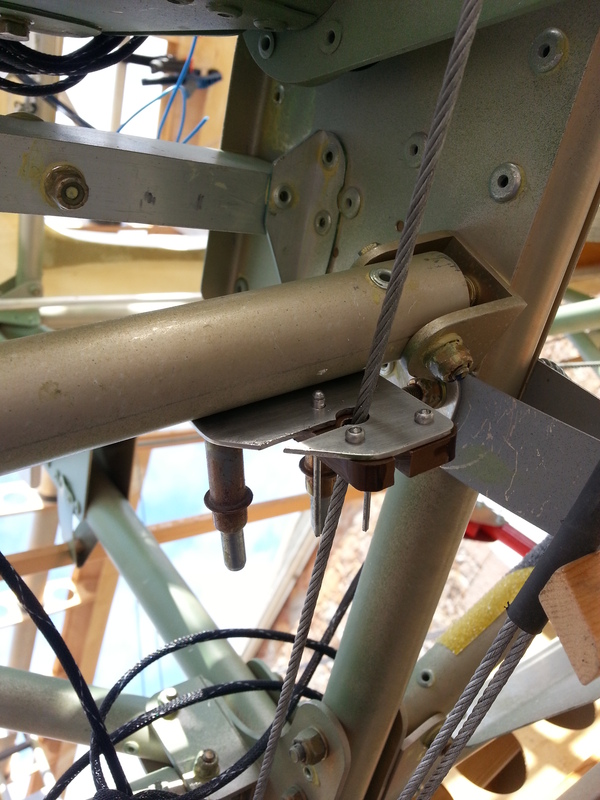 In the end it was far simpler to simply remove the front 3 dowel pins from the stringers, carefully spring them out and drill the premarked location for the angled brackets I had made. 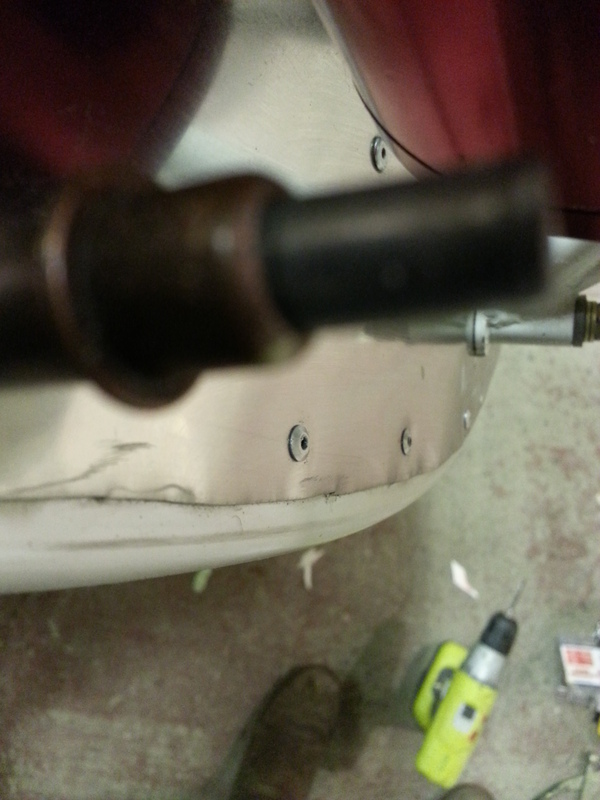 These had also been pre drilled for the rivet that would go through the cheek. Simple job in the end. 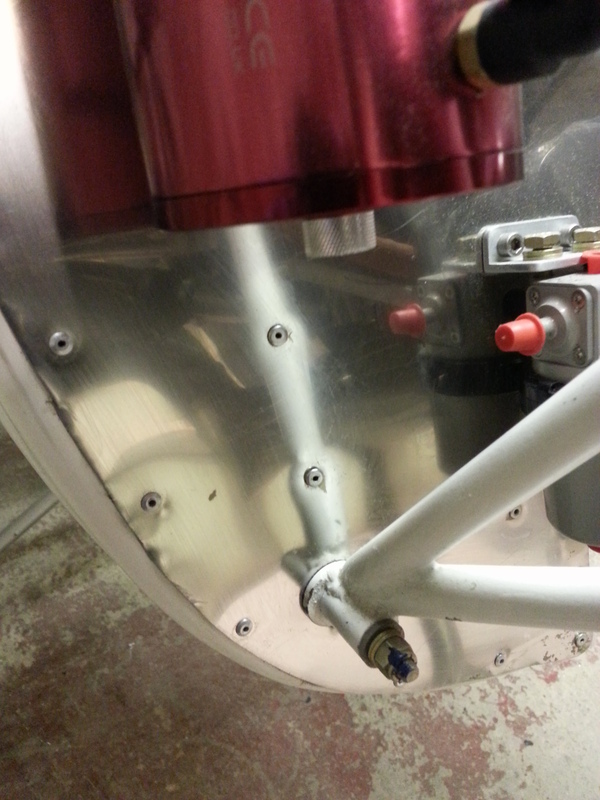 Its funny how some jobs make it feel so much closer to finish … riveting little bits like this are one of those ! 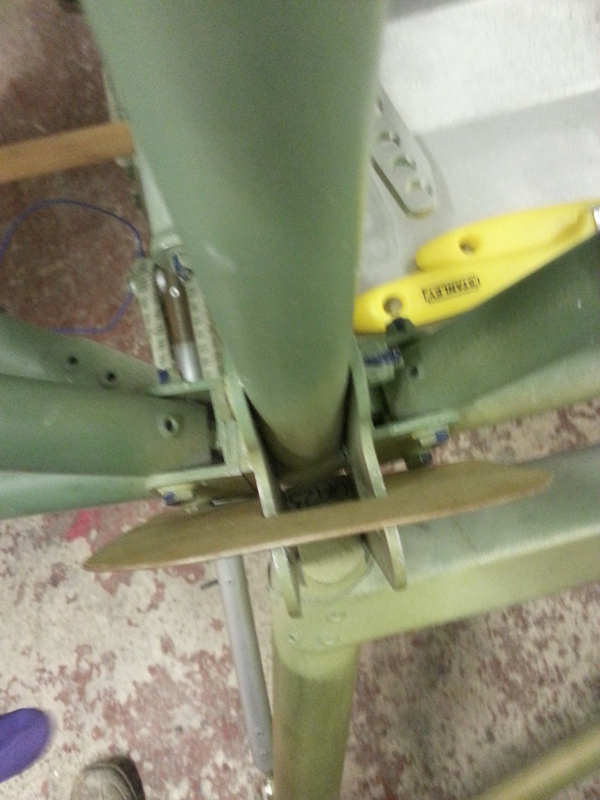 Have being trying to source the right glue and think I have it now so going to get the ply landing plates (these are used around key areas of the tailplane, wing mounting joints and elevator shafts) and are balsa block backed and glued to the airframe to provide a supported angled plane for the material to stick to. 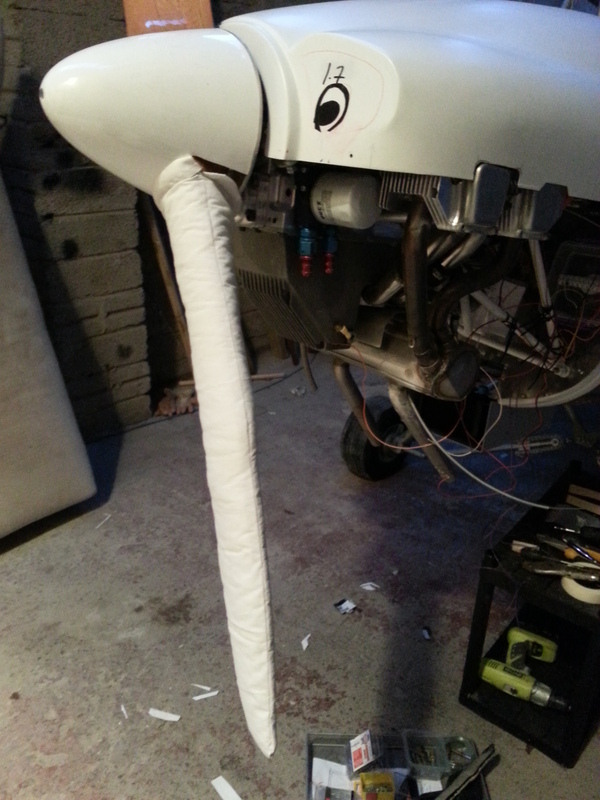 If it’s not too cold (for the glue !) 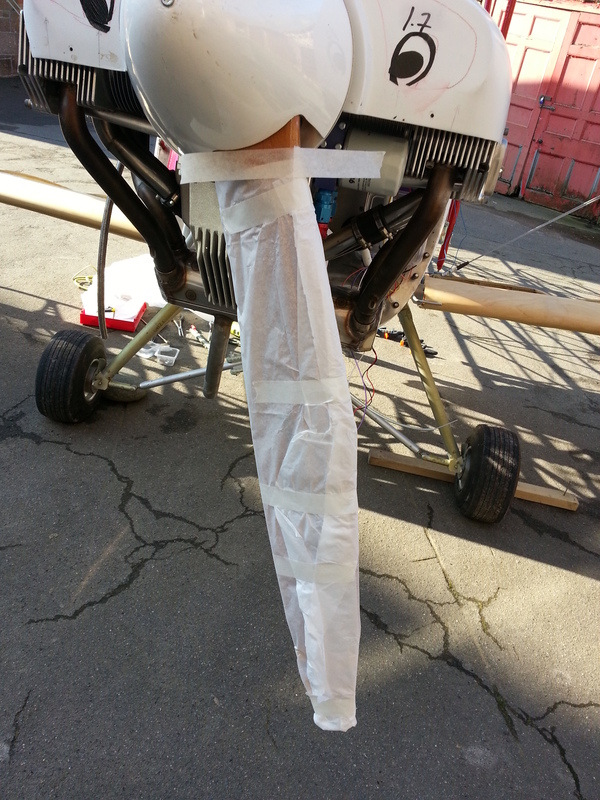 I will get these fitted this weekend, although have to de-rig and remove the tailplane first. 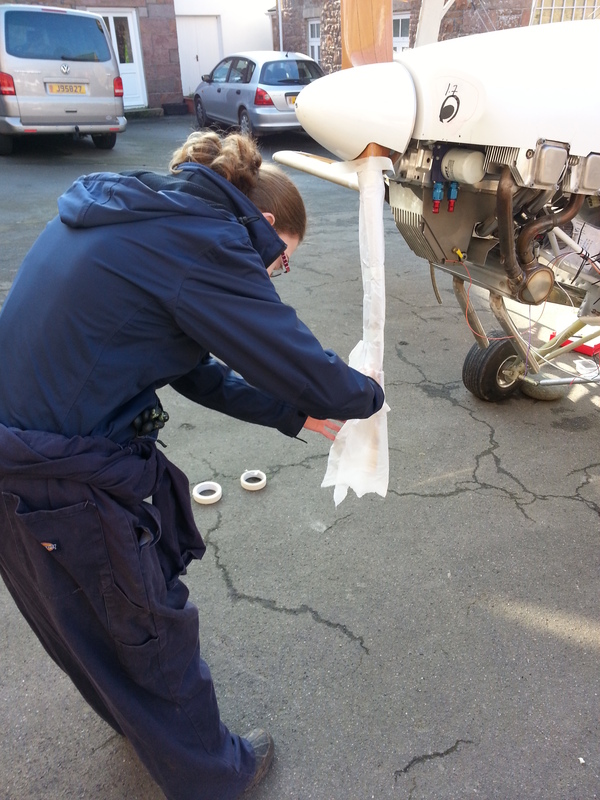 Had some new visitors this week – Andrew Renouf and a colleague who were very keen to see the aircraft ‘uncovered’. Andrew saw the Sherwood at the recent talk I gave at the Jersey Aero Club. Had some nice compliments on the rivet alignment .. which is always nice .. you never know whether people are just in awe or are being polite ! a bit of a wide range of emotions … but its good people take a genuine interest and it does help boost you on a very cold night of 3 degrees in a dark barn in the depths of the Jersey countryside ! 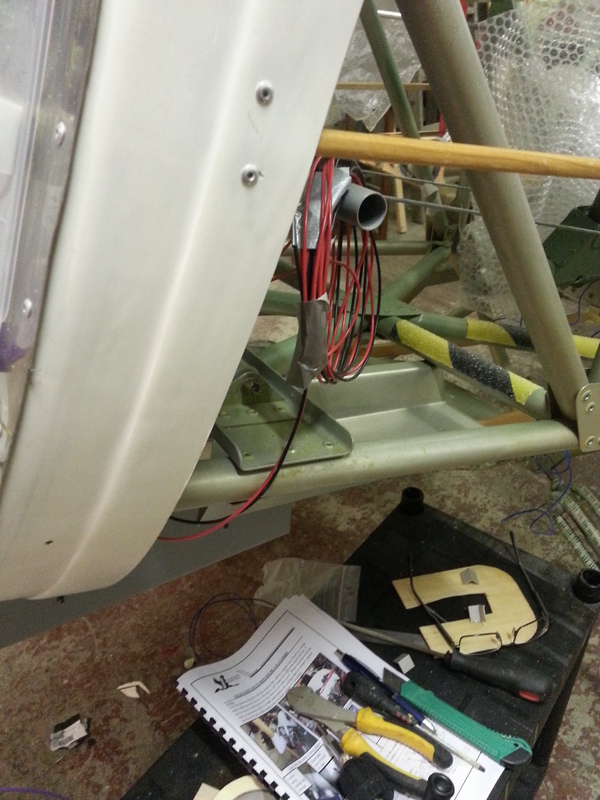 Note washers are used where the alloy 3.2mm rivets pull against the fibreglass top decking.